Hello to our fine followers! We have some exciting things coming out this week and some news on the month. As we rolling into June full steam ahead we have new products and new recommendations for you. As promised here is a nice link to Previews World. I strongly encourage you to take a peek and let us know your wants and needs, if you can get us any special orders by the 24th of this month its greatly appreciated. As I ham-fistedly try to learn how to make this site function and get some more menu items listed I’ll try to post up some new products through out the week if I’m able. My distributor has there “toy guy” who sends me weekly solicitations. I think I may just piggyback off his hard work and see where that gets us. Firstly upcoming tournaments being held on site: We will be running a Pokemon event this Saturday the 9th of June, Begins at noon and runs until done. $10 buy in. I’m going to update our Facebook account with more details as I’m a little fuzzy one what exactly is going on. Super failure on my part but this is how you build character… right.. right?! – Sunday the 10th – Magic the Gathering Battlebond Launch Weekend Two Headed Giant. $15 buy in, bring a partner. If you can’t find a partner attend anyway, we sometimes have an odd person out looking to jump in. Don’t be skeerd there are new friends to make! – Saturday the 16th- Magic the Gathering Standard Showdown. This will be the last of these we will run for Dominaria season. $5 optional buy in. 25 dollar store credit bonus for first place if you buy in. 2pm start time. – Sunday the 17th- Father’s Day Sale. We will have a table full of Superman memorabilia and comics. Buy any one or more of these items and get the rest of your purchase 10% off for that transaction. – Saturday the 23rd- Standard Showdown Store Championship. This is what all the hubbub was about! Come down and show why all that Standard play was worth your time and win a playmat. Optional $5 buy in. $50 bonus in store credit to be paid out for first place if they bought in. – Saturday the 30th- MTG Open House for Core set 19. Are you curious about MTG, want to learn to play? This is the time and place for just that. This event will run as a casual event all day. Bring your deck or accept one of our complimentary ones. We are here to help you learn the ropes and have some fun. Now that some of the announcements are out of the way let me make a brief recommendation. If and when you get the chance to peruse our shelves and cast your gaze over the more than 500 hundred current titles we carry. 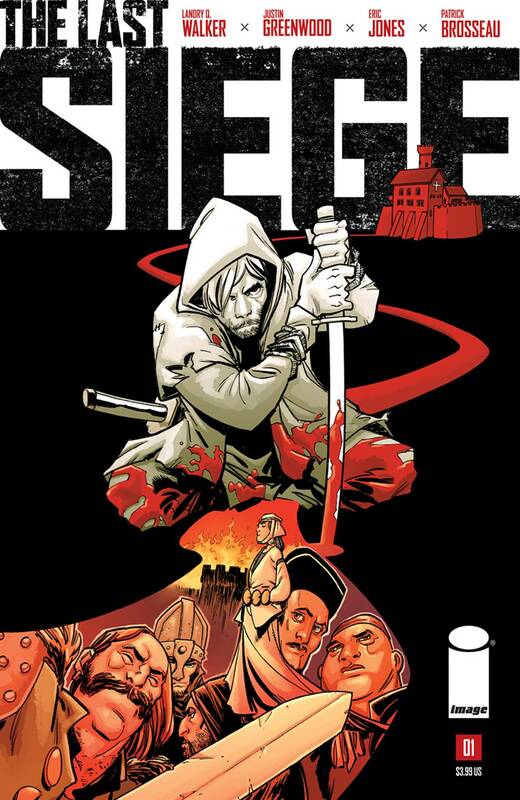 I’d like for you to see if you can spot The Last Siege on the shelf by creators Landry D Walker, Justin Greenwood, Eric Jones, and Patrick Brosseau. 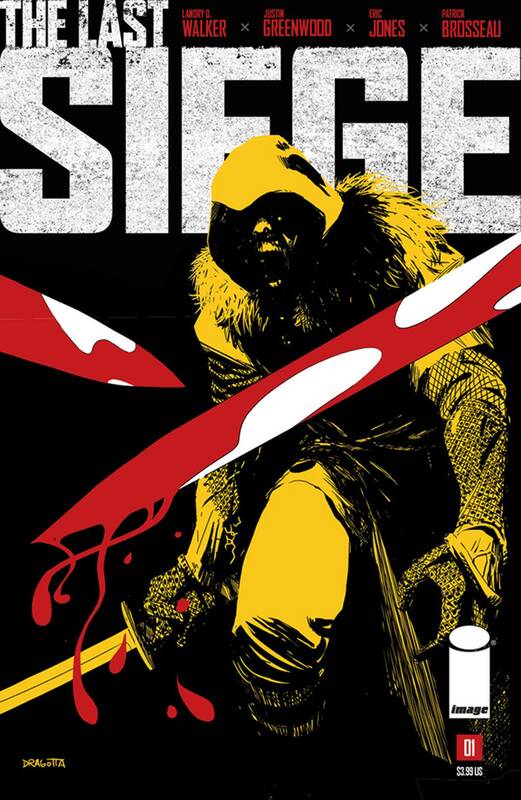 This title you will find amidst our Image Comics section. It had variant covers that shipped in, order as many as you want, ratios. We did 50/50 for our location. I liked this comic a lot, I feel like in a world with plenty of swords and sorcery comics to choose from I often have a hard time landing on one that I really like. I am casting a wide net by calling this one S&S as it is, as there has been no magic or anything particularly metaphysical in it yet. It is more of a strange foreigner arrives and causes a disruption in a medieval setting, throwing the “bad guys” plots into disarray. It caught my interest though and I hope it delivers where I feel titles like Green Valley ended up letting me down by being a little too Dr. Who. I’m hopeful for it and would like to kick it your way as a suggestion, but don’t take my word for it, see for yourself! Cheers! Next story DC’s Vertigo Relaunch why I’m excited and why you should be too!